Around where I work, there is a crew that mows the grass throughout the Summer. When I say “throughout the Summer,” I mean that they have specifically scheduled days on which they perform their duties. They perform those duties whether it is hailing, sunny, warm, cold, rainy, or droughty. There could be nothing but dirt left and they would still probably come to mow the grass just because it is what they have always done, it’s what they’ve been told to do, and it seems to work. I mention this because I think sometimes companies get into ruts with their marketing. Maybe marketers get in ruts with their recommendations, too. Beginning in about July or so, and really throughout the year, we start formulating ideas that will evolve into the backbones of our proposed marketing plans for our clients. It would be easy to say, “Well, you did six print ads in this publication last year and it didn’t seem to hurt anything. Let’s do that again!” But that is not really the best approach. Maybe it never was, but it certainly is not now. We’ve noticed that due to time constraints and a multitude of other responsibilities, companies who handle their own marketing often fall into these kinds of thought patterns. It’s easy to manage, it does some good. What more could you ask for? In fact, though, a lot can happen in a year. Publications can launch and fail. Websites can launch and fail. Heck, really anything can launch or fail. Sometimes the same thing does both in the span of a year. It’s a lot to keep track of. There are so many details to monitor, and now that the BPA has started to audit websites in addition to print publications, there’s going to be even more to get our arms around. If you don’t approach a marketing plan from a fresh perspective, you can end up mowing grass that is already dead. You can end up trying to seed a parking lot while there are plant beds all ready and waiting just a few yards away. Increasingly, tightly scheduled, “perfect” repeatable plans can be deadly. A company cannot possibly pursue everything there is to pursue now over a year-long period. A company that has always relied on print can start dabbling with online advertising. A company that has done nothing but collateral could look at updating their website. A company that has sworn off print could look at a really innovative direct mail campaign. That’s right — using paper. Just repeating what has been done “since I started” or “for as long as this company has been in business” is not just a boring approach to the new world, but it also is dangerous. It will make you look lazy. It will make you look like you are behind the times. And that’s not a good place to be. So before you decide that you are going to mow the grass every Wednesday and Friday no matter what the elements tell you to do, take a step back and actually look at the yard you have. Does it really need to be mowed today? Maybe it’s time to try something new. You could always go back to mowing next week. A few days ago, the lawn mowing people cut our community's grass in POURING rain. I immediately thought of your post. It currently looks gross and dirty 4 days later. Previous wet grass has now dried and sits in piles on the sidewalk. Sighs, people get in routines and just don't care how awful it makes their work look – as long as they got it done. Make your garden lawn look enviously beautiful through the lawn care expertise of the professionals of Cannington Lawn Mowing. We’re certainly glad that you have finally reached the end of your online search. 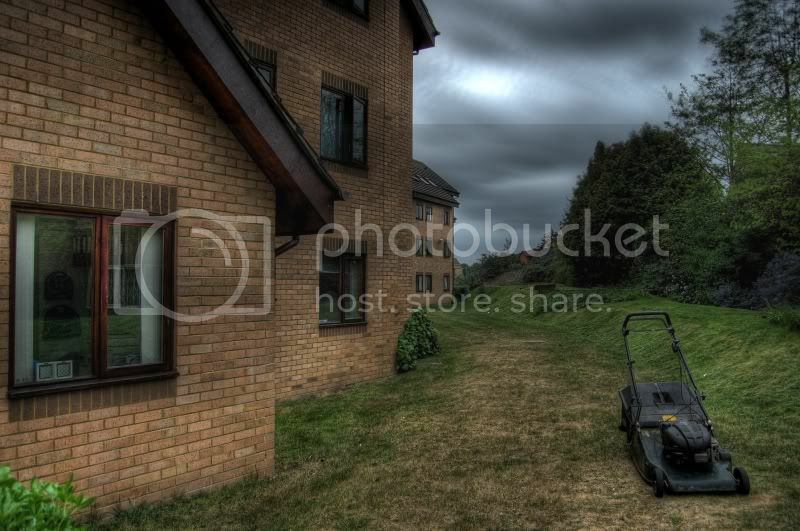 This is where you can find all the best lawn mowing services within the locality of Cannington.